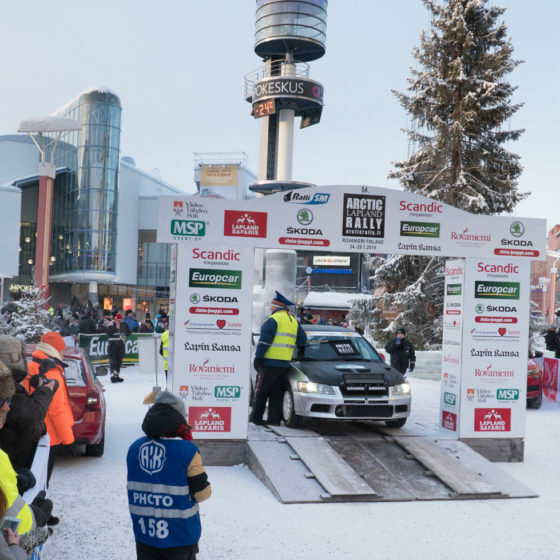 Summer is getting closer and Rovaniemi has something unique for you! 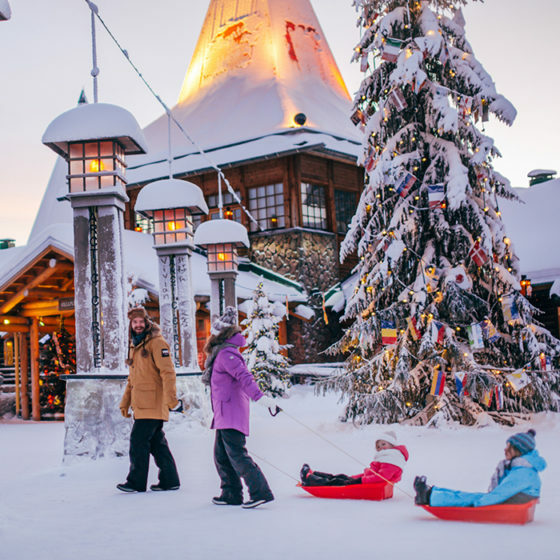 Rovaniemi, the Official Hometown of Santa Claus, lies on the Arctic Circle in Lapland, Finland. In summer, the Midnight Sun shines 24/7 and the city is blooming with shades of blues and greens. Summer is the time to stay awake and spend a stress-free vacation wandering in pristine nature and breathing the cleanest air in the world. 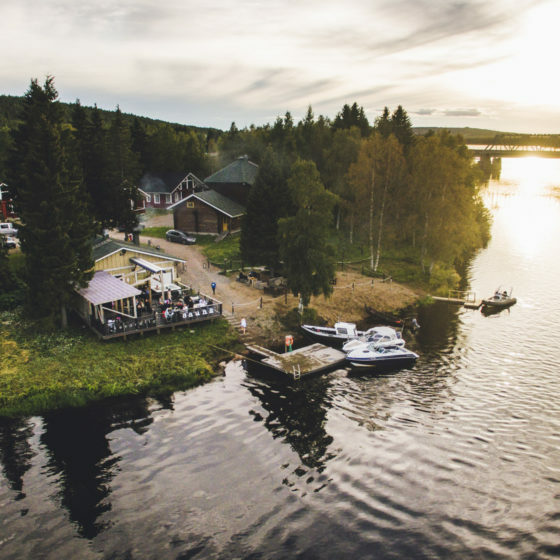 Here comes eight heavy reasons why Rovaniemi is a bucket list summer destination in 2019. We people have accepted that days are light and nights are dark. We people are wrong. 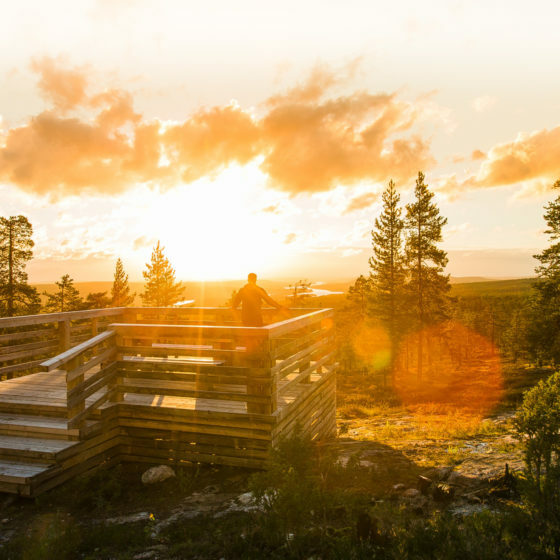 In Rovaniemi and elsewhere above the geographical Arctic Circle line the sun does not go below horizon in summer. 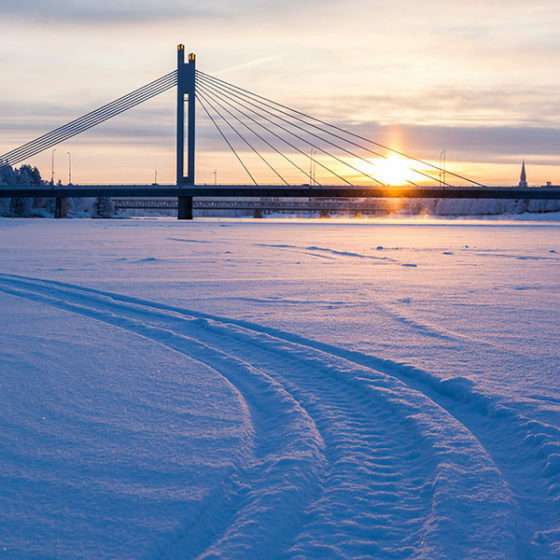 Here in Rovaniemi the exact days of the Midnight sun are between 6th June and 7th July. 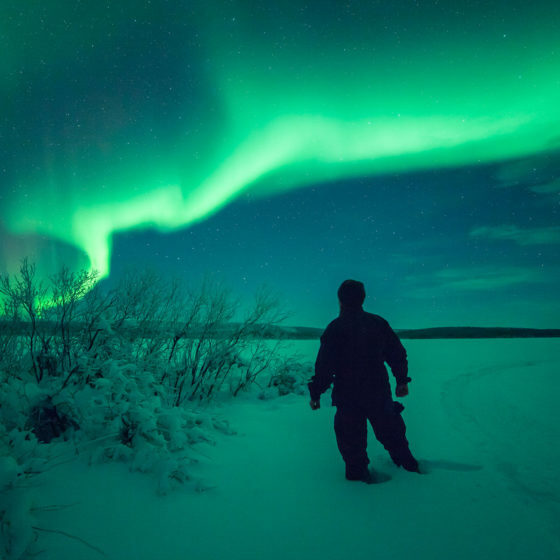 The nights are full of light weeks before and after the month’s period, and Finns call the phenomenon “nightless night”. Because, there’s no night, just light. 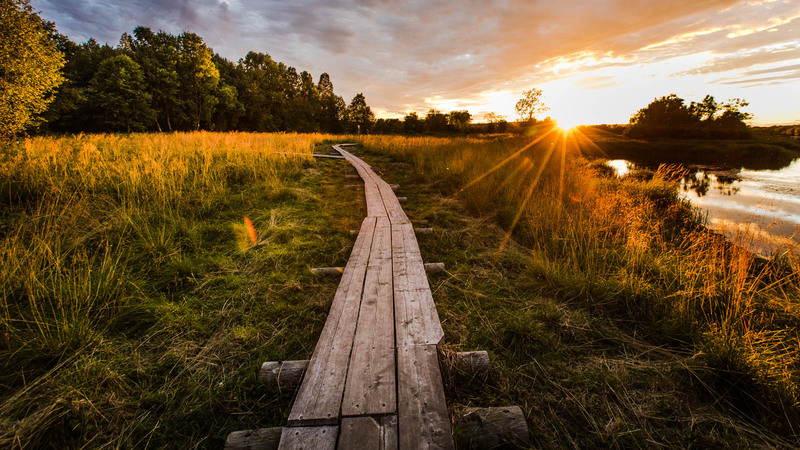 The enormous amount of light feeds both nature and people, who stay awake and wander in nature. In June-July you really cannot tell what time of a day it is. 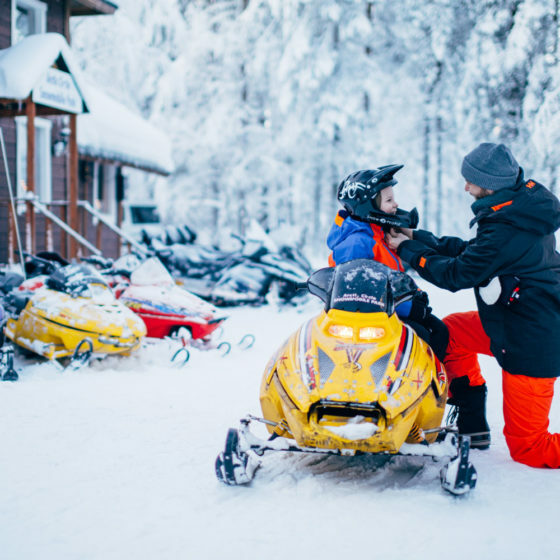 Time is perfect for enjoying the genuine beauty of Lapland’s pristine nature, fresh Arctic waters and the cleanest air in the world. 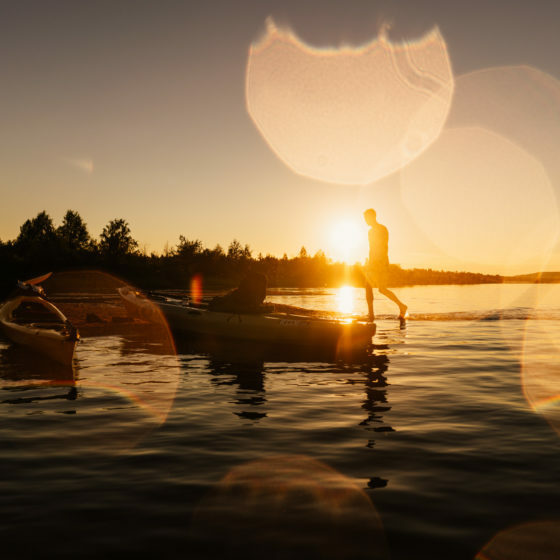 Time is especially perfect for photography to capture the phenomenal light. By joining a photography tour you ensure that you’ll be capturing the spectacular views from the best locations. 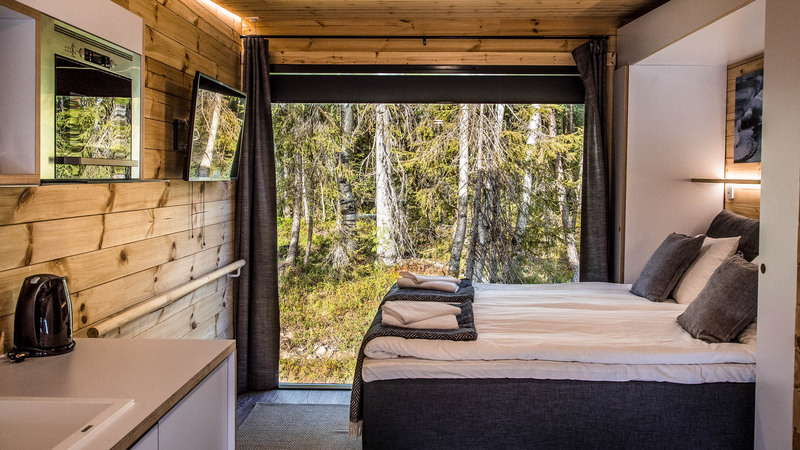 The biggest thing in Rovaniemi is its nature, and nature flows into accommodations. 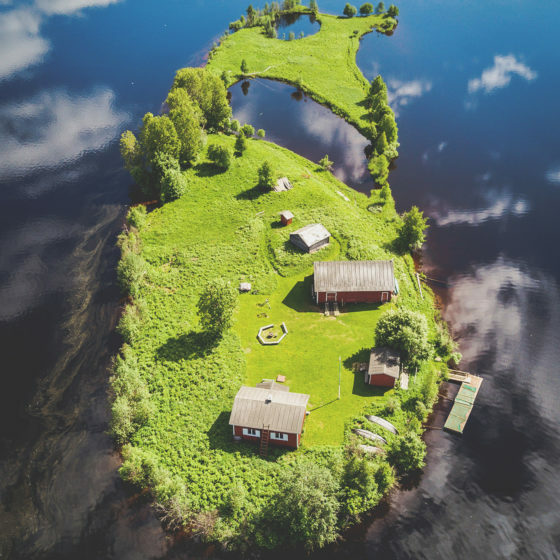 In Rovaniemi, there are many glass igloos and glass houses with glass roofs, walls or both that make sure you really feel like being in nature. 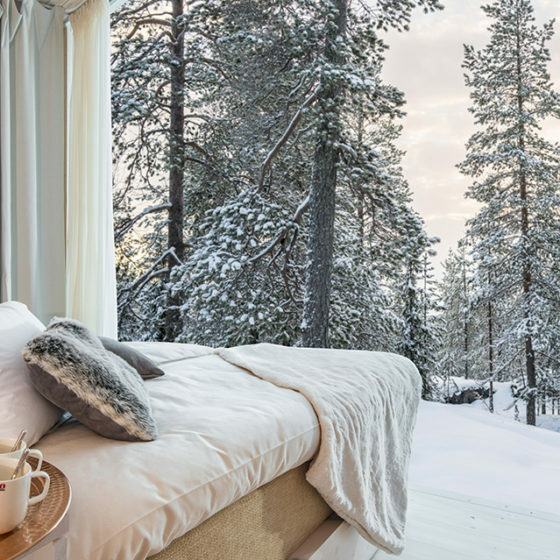 In Rovaniemi city center, you’ll find award-winning hotels and hostels that treat you with food inspired by Lapland. Because of central location, you’ll get direct access bonding with locals as a bonus. 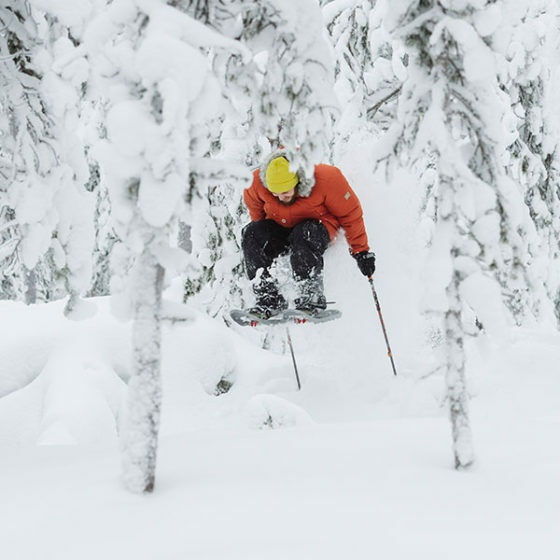 Yep – you normally see husky dogs pulling a sledge on snow. 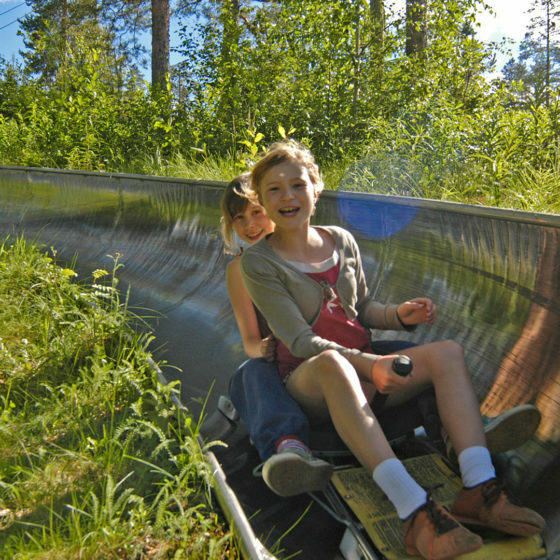 Sled dogs work also in summer, and that’s also the time to see the cutest little sled-dogs-to-be! Many sled dog farms keep their doors open through a year here in Rovaniemi, Lapland. Instead of pulling a sledge, the well-trained dogs are pulling a cart. 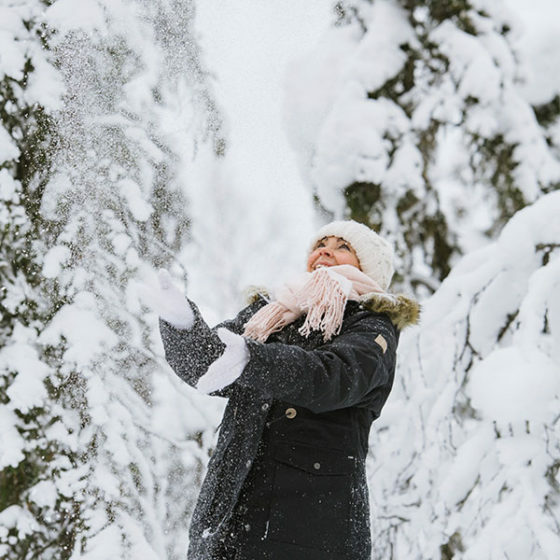 However, sled dogs cannot pull carts if weather is too warm, but hiking with them in nature is a relaxing experience that brings stress levels down. 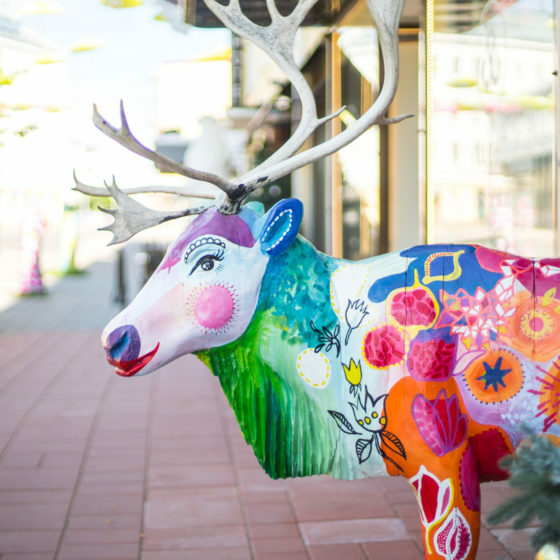 In Rovaniemi, reindeer are more than just animals. 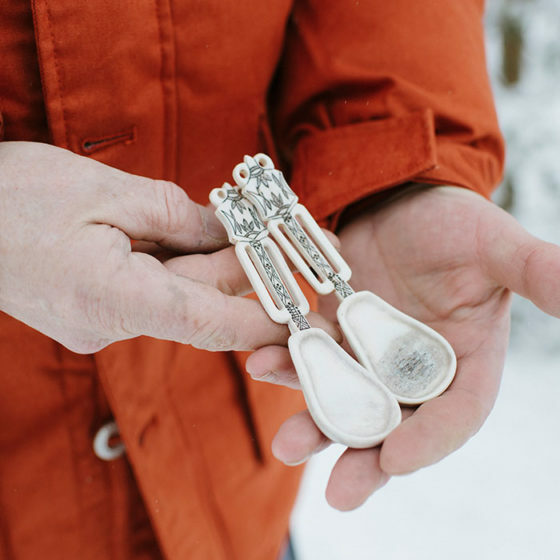 They have a crucial role in Lappish culture, bringing livelihood to many reindeer herders. 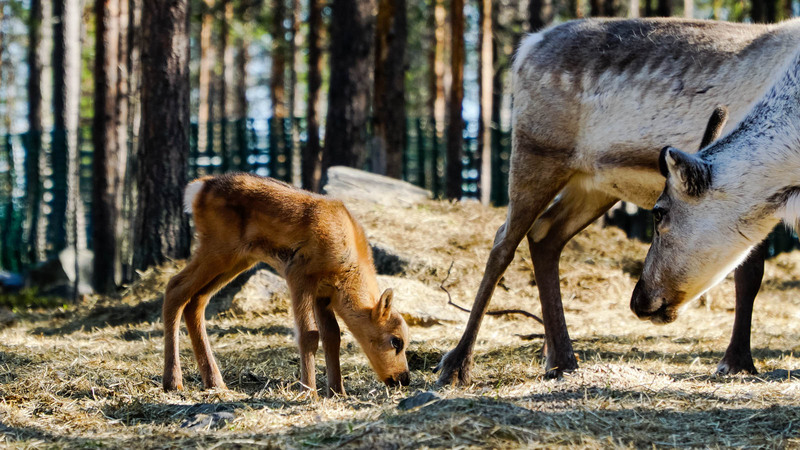 Reindeer give birth in May and during summer, you’ll have a chance to meet beautiful little baby reindeer. 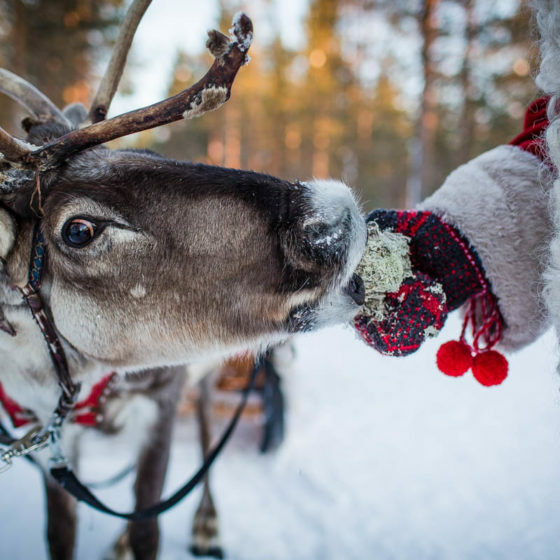 Many reindeer farms keep their doors open for visitors through the year. 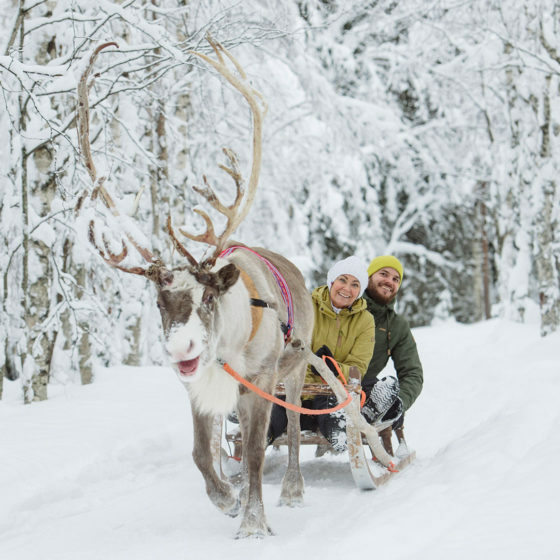 Hiking with reindeer is another great way of discovering the beauty of Lappish nature. 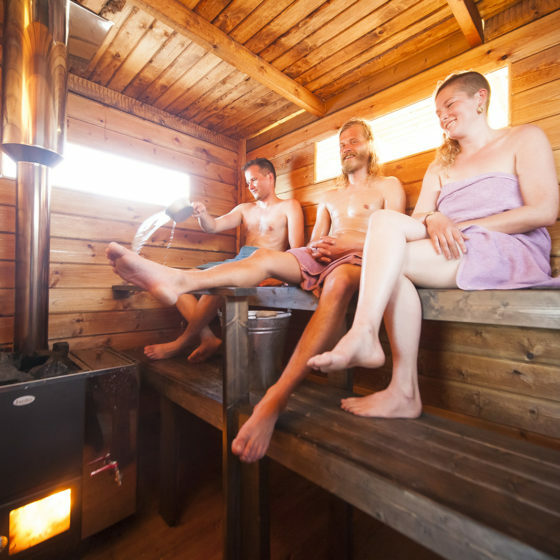 When in Rovaniemi, do as Rovaniemi people do – in practice, go to a sauna. Sauna is maybe the most traditional way to experience Finnish culture, especially in summer time. 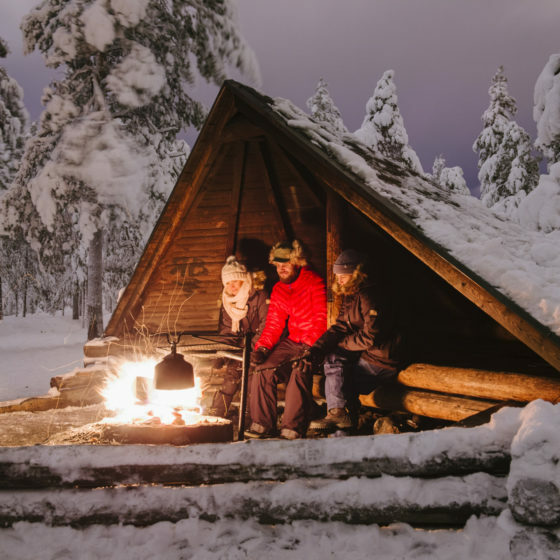 Almost every Finn has a sauna. 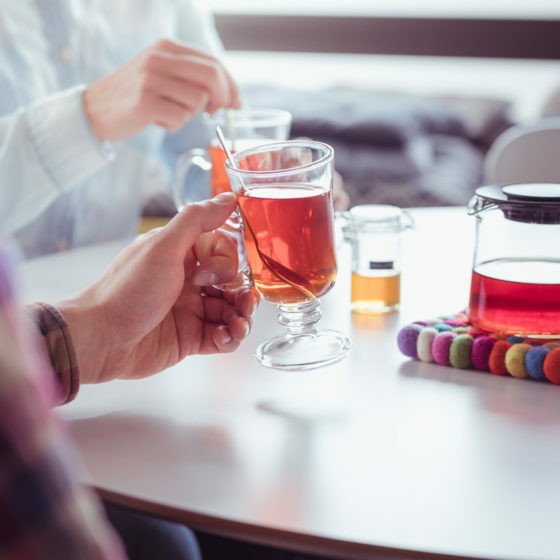 It’s the place to relax and enjoy a quiet moment – something very important in nowadays hectic culture dominated by instant messaging and social media. 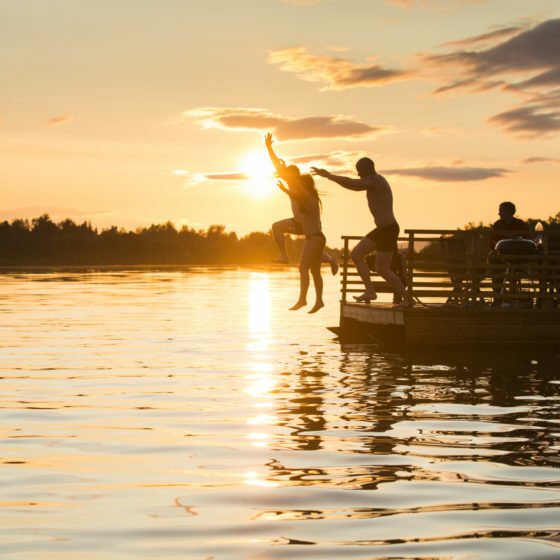 In winter and especially in summer many Finns enjoy nature by dipping into fresh and open waters in between sauna. The fact is, everything tastes better outdoors. Maybe the philosophy behind is that when you need to make an effort to collect and prepare your food, you taste the gratitude to nature’s amazing ingredients in your meal. 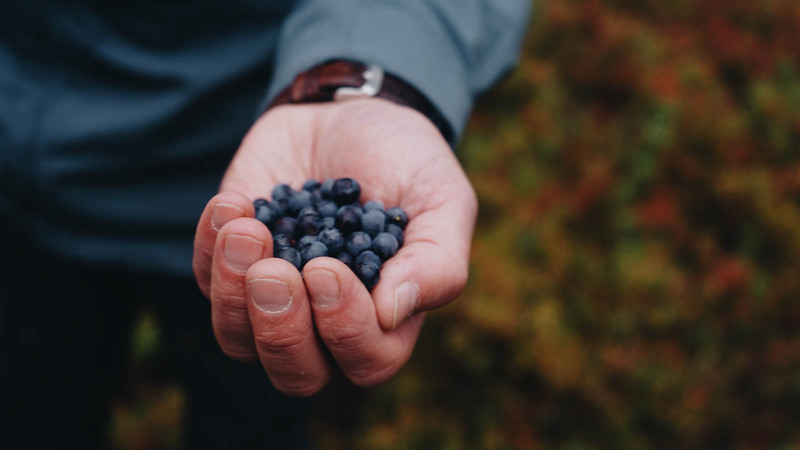 However, Lappish cuisine is based on what we got here: berries, mushrooms, game, root veggies and a various kinds of Arctic super foods, like lichen and spruce sprout. 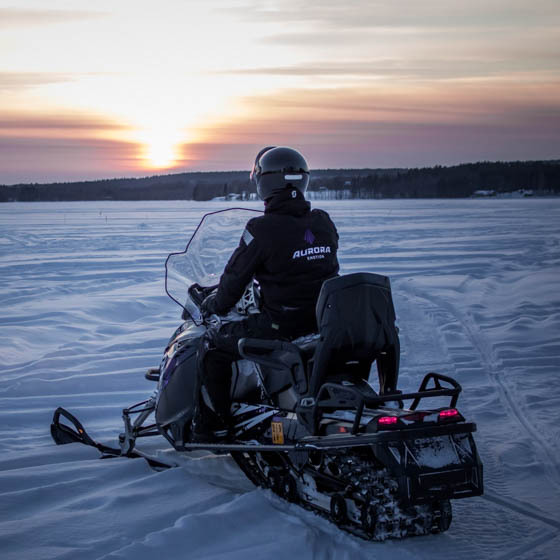 Fishing and hunting are also traditional hobbies in Rovaniemi. 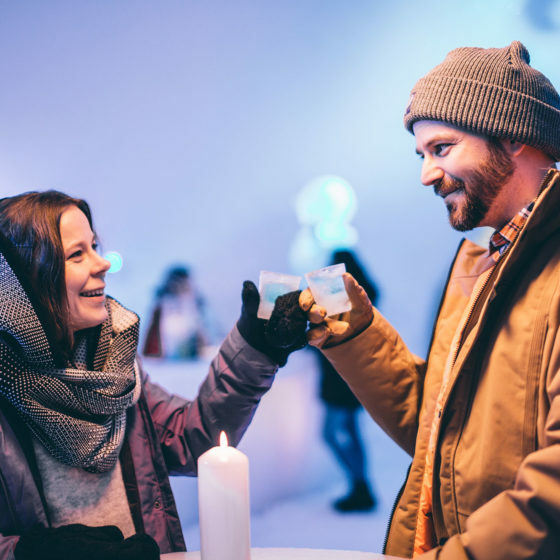 If a dinner in wilderness is not your cup of tea, try a meal outdoors when sitting on one of the many terraces in the city – in Rovaniemi terraces open when weather gets warm, like +15 degrees of Celsius. 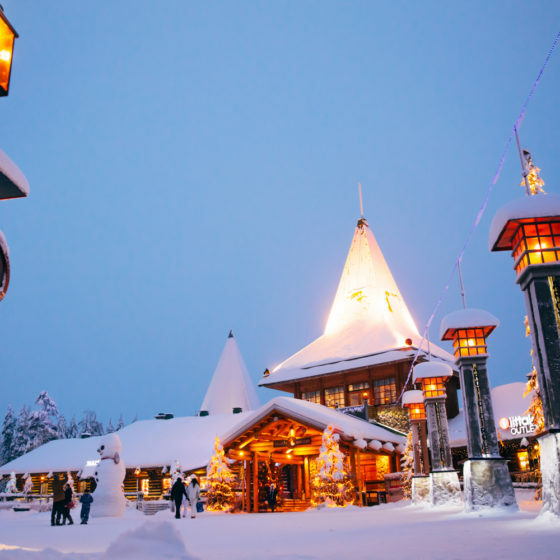 It would be a disaster to bypass Rovaniemi without a stop in Santa Claus Office in Santa Claus Village! 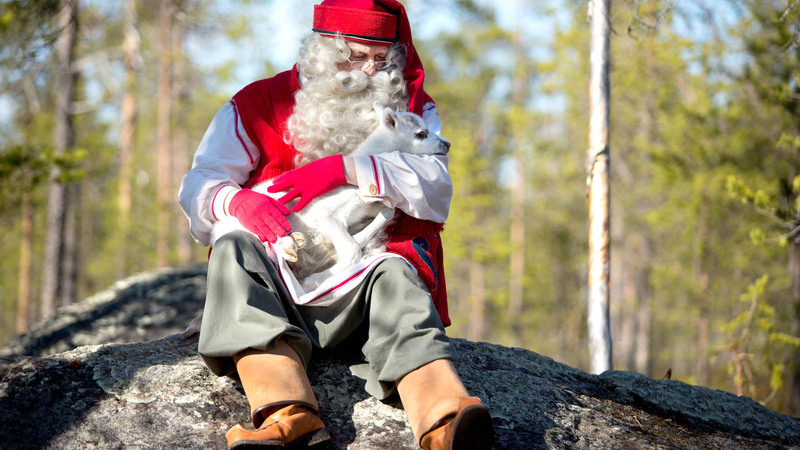 Santa Claus loves all people and that white-bearded man meets people at his office 365 days year. Get a glimpse of his goodwill by visiting him. 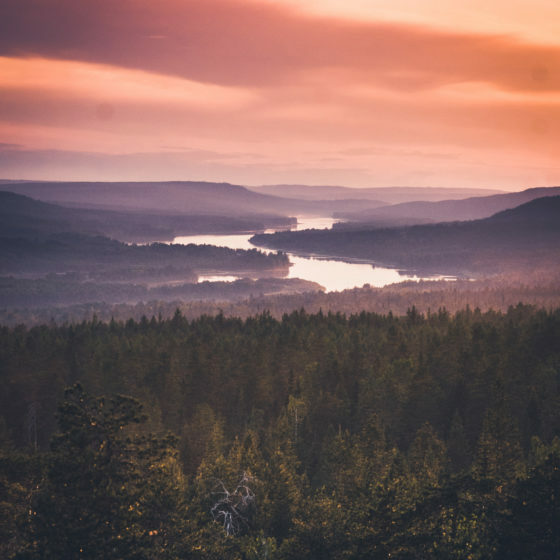 Rovaniemi is a city of two big rivers: River Kemijoki and river Ounasjoki, that dominate landscape in here. 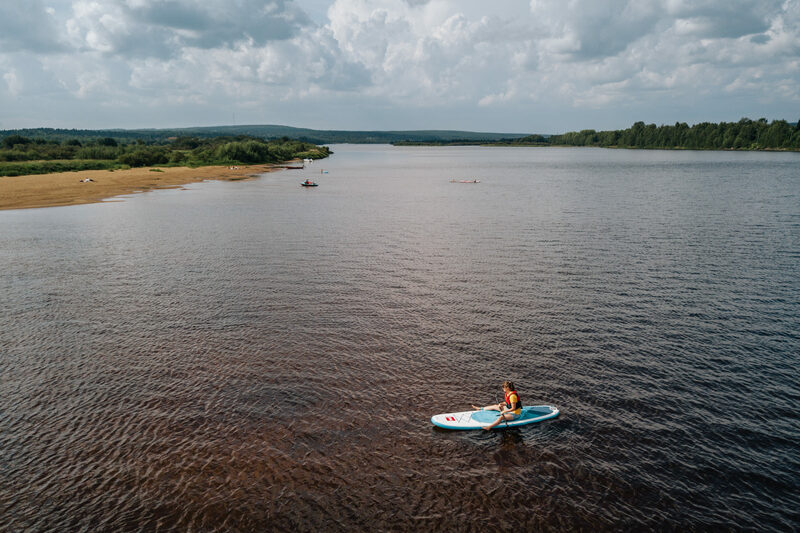 Ounasjoki’s deltas are luscious, sandy beaches that invite people to sunbathe, to swim and to explore the area with boats and SUP-boards. 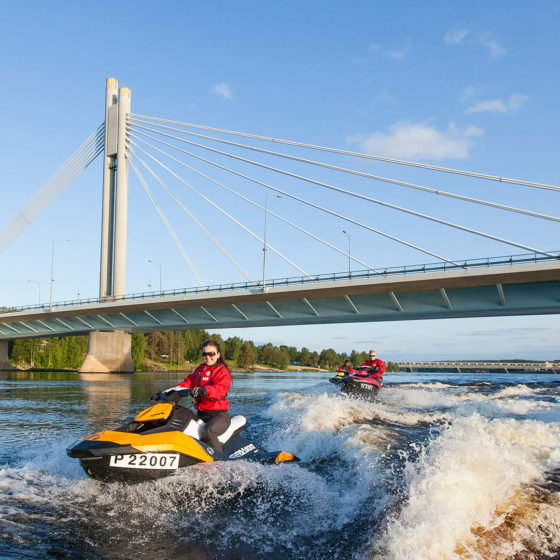 Actually, Ounasjoki and its riverside is a place where the most summer activities take place in Rovaniemi. Science center and museum Arktikum is located along Ounasjoki and many summer festivals take place in Ounaspaviljonki. That’s also a place for a public beach. 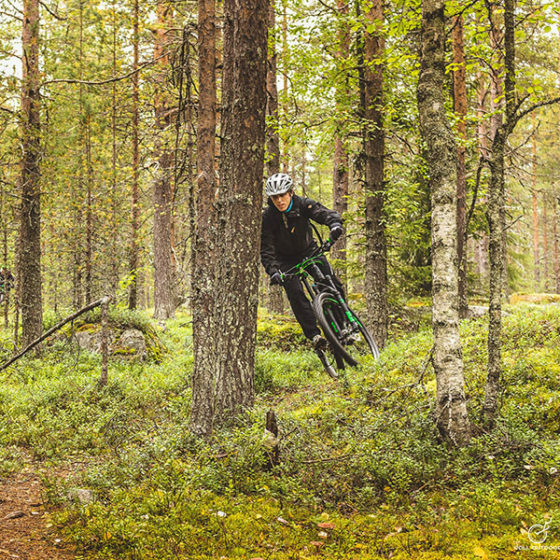 Koivusaari nature trail is also located in Ounasjoki ans sauna ferry m/s Erkin Arkki cruises along it. Your trip is almost set. A few more steps and you’re done! 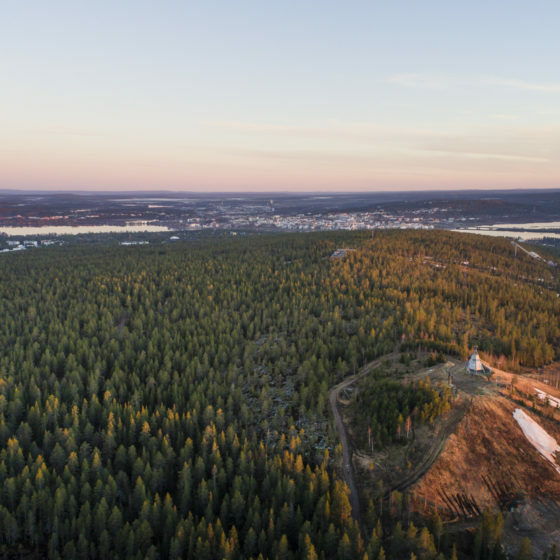 Finnair and Norwegian operate via Helsinki to Rovaniemi in summer. 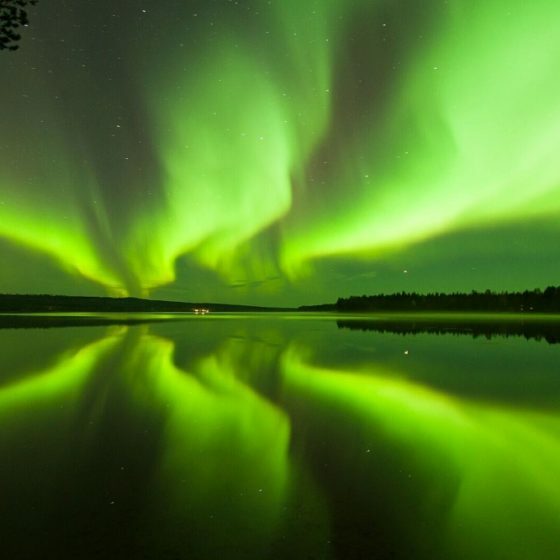 Night train or day train by VR from and to Rovaniemi are also available from Helsinki and other cities. By renting a car, it’s easy to move around here. Didn’t find what you were looking for? 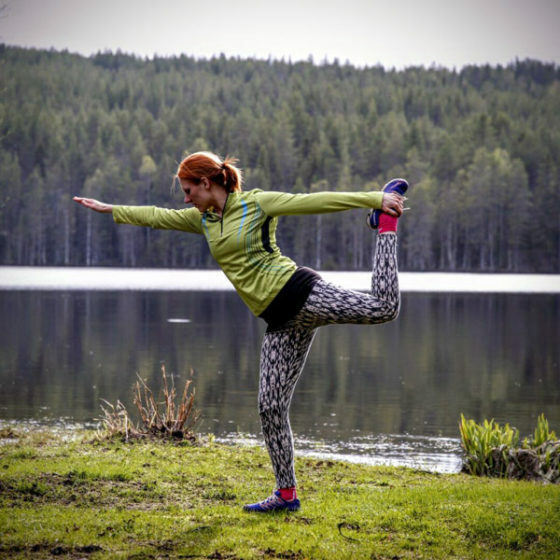 Find all summer activities here.